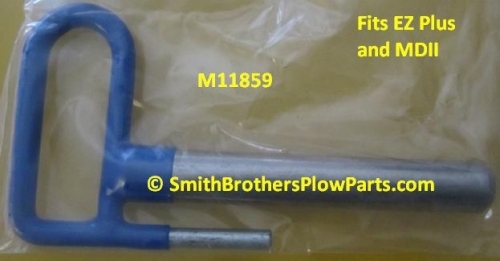 Blue Handle Pin for MDII and EZ Plus Mountings. Sold individually. Blue pin ONLY. Cotter Pin and Spring NOT included. Can be used to replace the MDII Yellow Handle pin too, the only difference is the color. Click on Related for Spring which includes cotter pin for spring. Spring for Blue Handle Pin on Meyer EZ Plus / MDII, Yellow Handle Pin on MDII, Drive Pro Spring Bar. 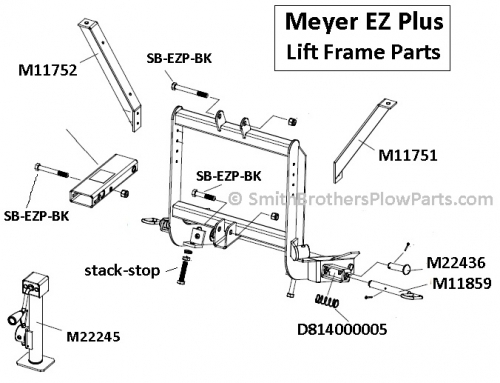 Includes Cotter Pin as shown.